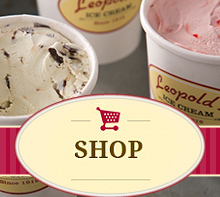 Leopold's Ice Cream / Scrapbook / From our team / Mary Talks About I Pledge! Mary Talks About I Pledge! Mary Leopold was interviewed by the great folks at the IceCreamConnection.com blog. Follow THIS LINK to hear the interview! And remember, shops all across America are hosting I Pledge Events throughout July! Visit www.IPledgeForIceCream.com to find a store near you. Or, nominate your favorite ice cream shop and we’ll contact them about joining the project.